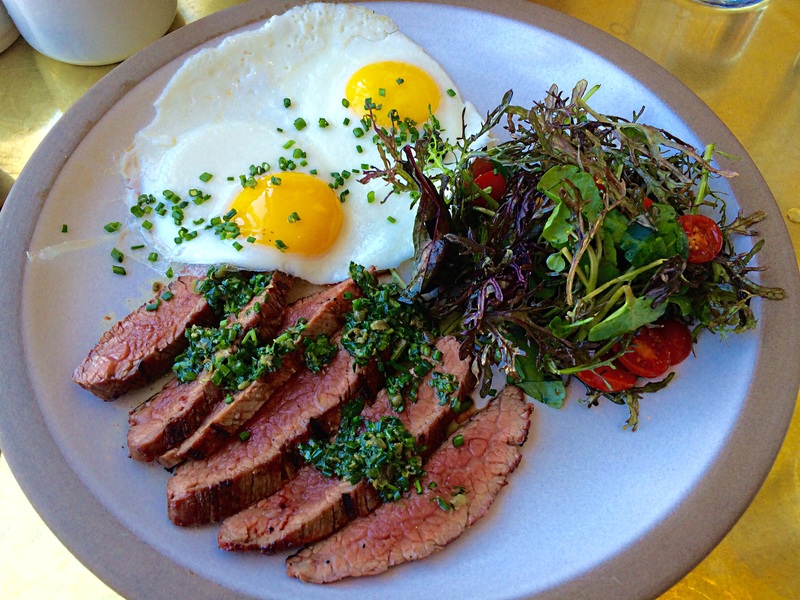 Cadet is a great addition to the brunch scene in Santa Monica. 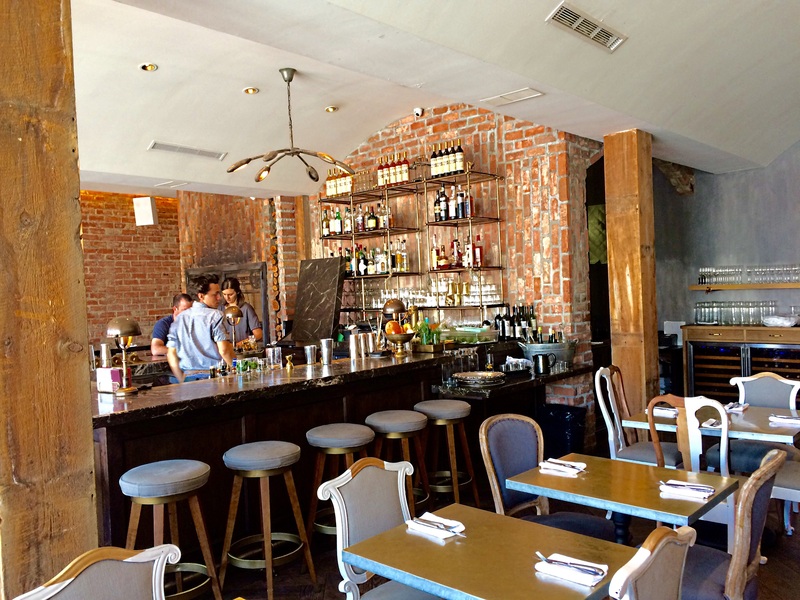 The space is bright and airy and they use high quality farmers market produce. Service is friendly. As soon as I saw this salad on the menu, I knew I had to order it and it didn’t disappoint. As we were savoring the very flavorful salad, I noticed it was missing the Almonds. I asked our waitress and after checking with the kitchen, she returned with a small bowl of delicious almonds. 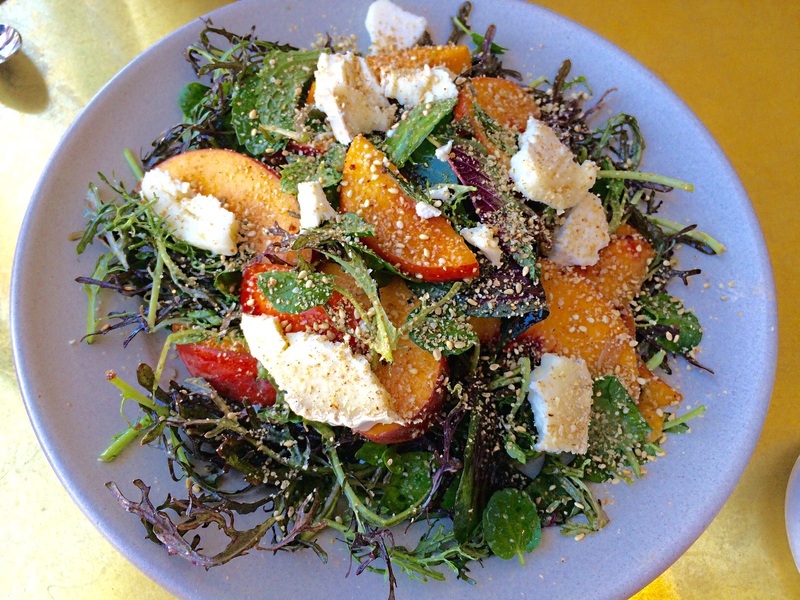 They added crunch to the salad and went well with the sweet stone fruits and tangy goat cheese. My husband considered a couple other options, but at the end chose this dish. It was a nice earthy dish. The farro was a little overcooked but the wild rice and the crunchy quinoa were satisfying. We specially enjoyed the chili peppers and the pickled radish. 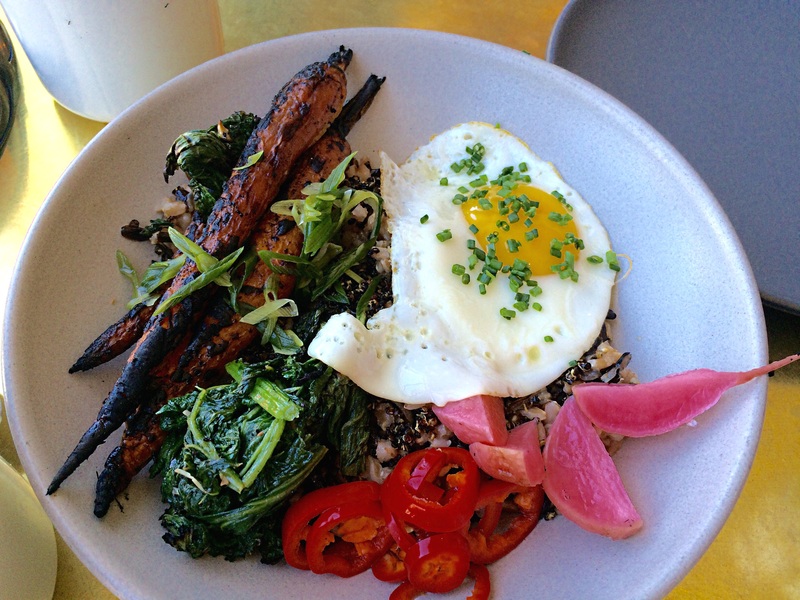 The egg and the slightly sharp mustard greens rounded out the dish. The steak was high quality but it was not as flavorful as the one we had the previous week at Driftwood Kitchen. What really stole the show was the sweetest cherry tomatoes I have ever had.